Our world is surrounded by forces and motion. This lesson teaches a lot about forces and motion. All forces are either pushing or pulling forces. Not only the force of gravity pulls everything on earth towards the centre of the earth, but also it keeps the motion of our planet Earth in orbit around the Sun. Friction makes us walk and drive without slipping or skidding. 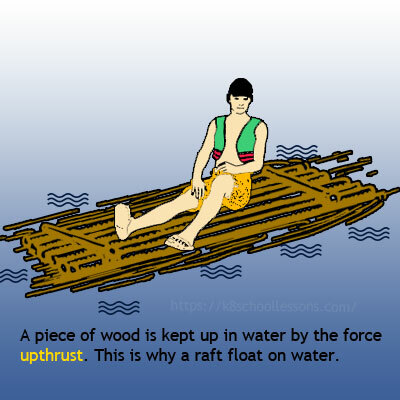 Things which are light in weight can float on water, because of upthrust. 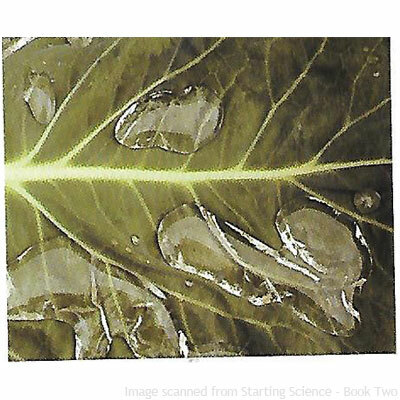 Magnetic force, surface tension and electric force are some other types of forces in our environment. So now, let’s learn about these forces in detail. 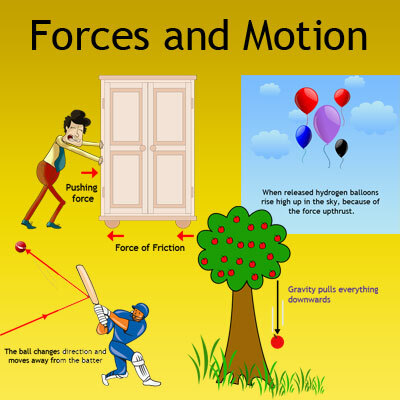 What are forces and motion? Thanks to motion the world goes around the Sun. So do the other planets in the solar system. Animals and vehicles move form one place to another because of motion. We play, run, dance, jump, do sports everyday. All these activities require motion. We cannot think about a world without motion. In fact, motion is the changing of position or location. However, to change the position or location, motion needs another thing. It is a force. A force should be there to cause a change in a position and we call it ‘motion’. Thus, forces and motion go hand in hand around us. A force is a push or pull. A force makes something move. 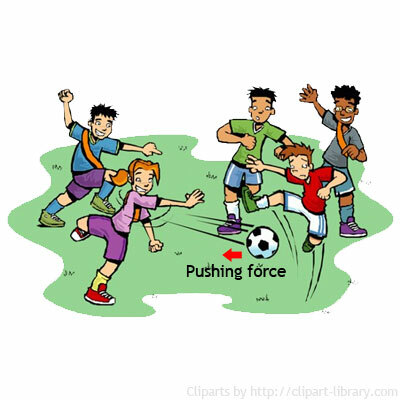 Look at the following forces and motion diagrams which show pushing and pulling forces. You often use a trolley when you do shopping. 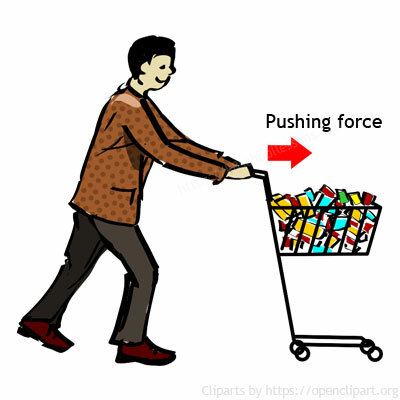 You can use a pushing force to move a trolley forward. 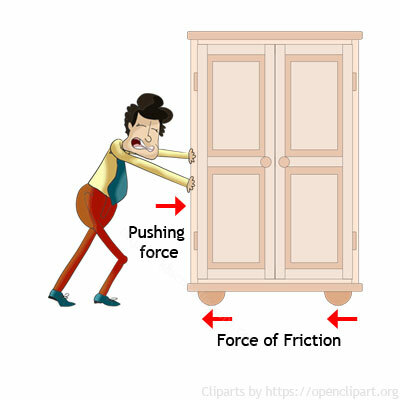 The following forces and motion diagram shows how a pushing force applies. If you want to pluck some flowers off a high branch, you can use a long stick with a hook at one end to lower the branch and pluck the flowers. In this case you use a pulling force to lower the branch with the help of the stick. In the game of tug of war, you use a pulling force to show the power of two teams by pulling the weak team towards the strong team. If both teams pull with the same force there is no movement. 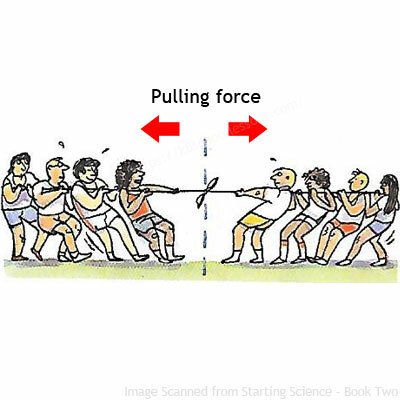 The following forces and motion diagram shows how a pulling force applies. If you want to move the cursor on the computer screen, you should move the mouse of the computer by pushing or pulling it. The cursor moves on the screen in the same direction as the force given to the computer mouse. Forces can make things change shape, change direction, change speed. How do forces change shape of things? To stretch a chest expander or squash a can out of shape, a big enough force produced by a strong man is needed. 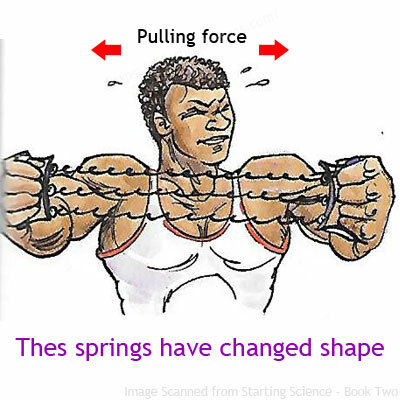 The following forces and motion diagram shows how a strong force can change shape of something. A car begins to move using the force produced by the car engine and gradually it speeds up. When you apply the brakes you can slow it down, and then stop it. This means the force produced by the brakes has slowed down the car’s wheels. 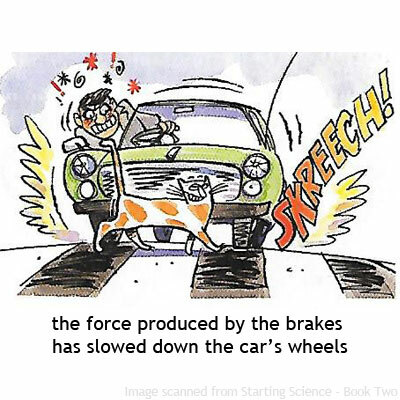 The following forces and motion diagram shows how the force produced by the brakes has slowed down the car’s wheels. A force can make something start to move, then speed up. To make a bicycle go, you have to supply a force. You push on the pedals and this force turns the wheels. With your first push, the bicycle moves off. 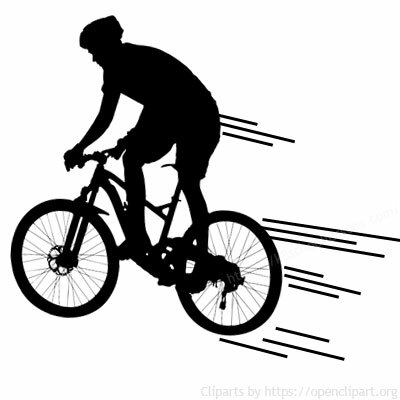 As you keep pedalling, the bicycle speeds up. You have to pedal the bicycle harder by using more force, if you want to go faster. You have to kick the ball when you play football. Here, you use the pushing force to move the ball forward with your foot. The harder you kick the ball, the faster it will move. How fast the ball goes depends on the strength of the kick. The following forces and motion diagram shows the harder you kick the ball, the faster it will move. How do forces change direction of things? A force can change the direction of something that is moving. A tennis player puts a force on the moving ball, which is travelling towards him, by hitting it with the racquet. 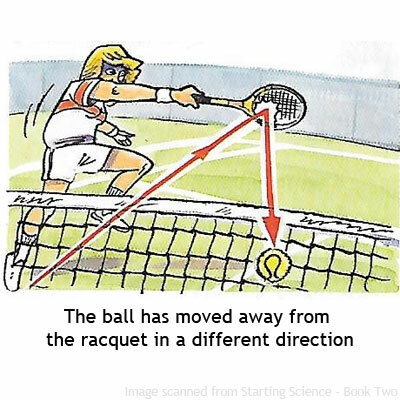 The ball changes its direction by moving away from the racquet in a different direction. The following forces and motion diagram shows how the ball has moved away from the racquet in a different direction. Similarly, a cricketer or baseball player hits a ball that is moving towards them. The ball then changes direction and moves away from them. Which way the ball goes depends on the direction of the hit. Using an arrow you can show which way a force is moving and how strong it is. 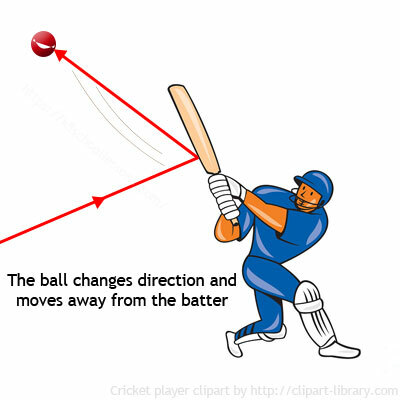 The arrows in the following forces and motion diagram shows how the ball changes direction and moves away from the batter. A twist is a force that makes something move in a circle. 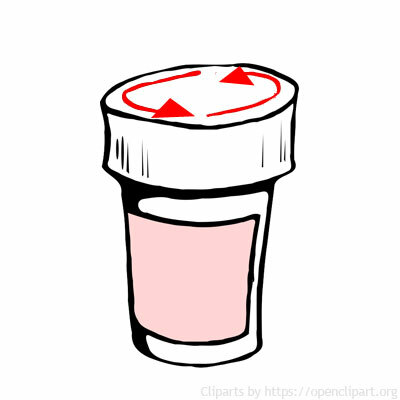 Twisting the lid of a jar or bottle opens the jar. Twisting it the opposite way closes it. The following forces and motion diagram shows the force, twist. Sometimes more than one force acts on an object at the same time. When people push or pull in the same direction, their forces add together to give a much bigger force. Two forces can help each other. It’s difficult to move a car by pushing it yourself. It’s easier if a friend helps you to push in the same direction. 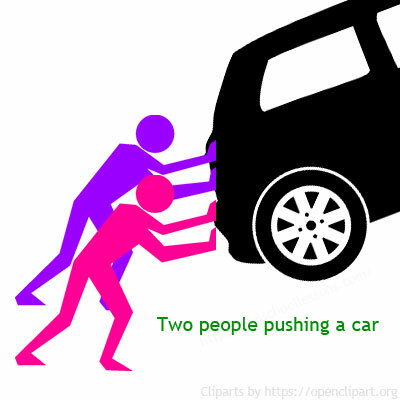 It’s easier to push a car in the same direction when two or more people push it. But if two forces are acting against each other, the largest force will win. When two forces which are not equal in size, are acting on an object, we say that they are unbalanced forces. Unbalanced forces change the way something is moving. They can make objects start to move, speed up, slow down or change direction. Two forces can work against each other. That’s what makes a tug of war so tiring. Your team pulls one way. The other team pulls in the opposite direction. If one team’s force exceeds the other team’s force, the team with the highest force can pull the other team towards them and win the game. This is an example of unbalanced forces. The car moves when a friend helps you to push the car. This is because the force given by you and your friend is bigger than the force given by the car. This is another example of unbalanced forces. When two forces which are the same size, are acting in opposite directions, we call them balanced forces and we say that the object is in equilibrium. When two balanced forces are acting on an object, the object will not change its motion. For example; if the object is still, it will stay still. If the object is moving, it will continue moving in the same direction at the same speed. When equal forces push or pull an object from opposite sides, that object is in equilibrium. Any object in equilibrium is balanced. It will not move unless an extra force acts upon it. There is no movement in either direction as long as both teams pull with the same force. This is where two forces are equal. When this happens, the two forces balance each other. This is an example of balanced forces. There is no movement in either direction as long as both teams pull with the same force. 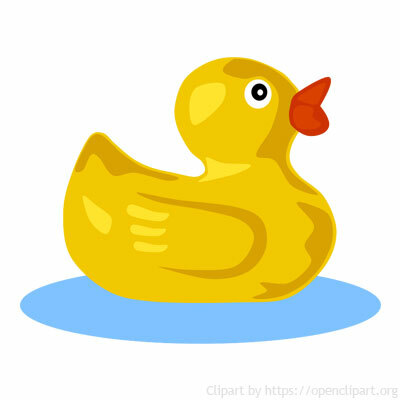 When you put a toy duck made of rubber or plastic into water, it will float on water. So, how this toy duck floats on water? The force of the water pushing the toy duck up is equal to the force of gravity pulling it down. What are the different types of forces? 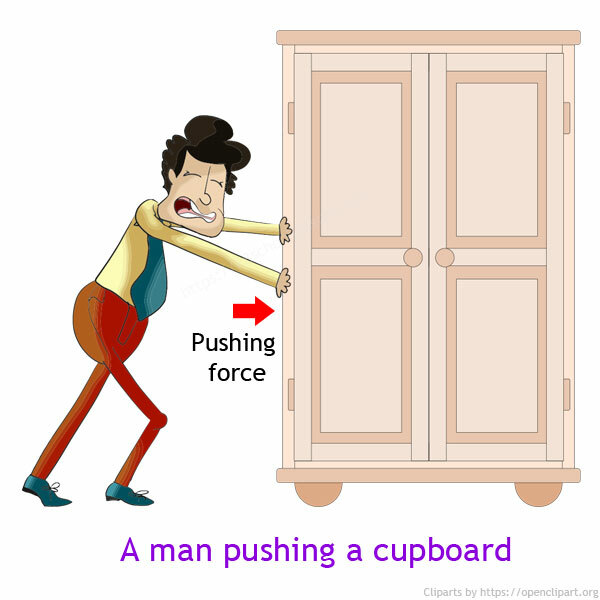 Following is a list of examples of forces which act on or around us. Things which are moving will slow down because of the force of friction. Whenever two surfaces rub on each other a force of friction is produced. Friction always works in the direction opposite from the direction the object is moving or trying to move. Gravity pulls everything downwards. This means gravity pulls everything towards the centre of the earth. 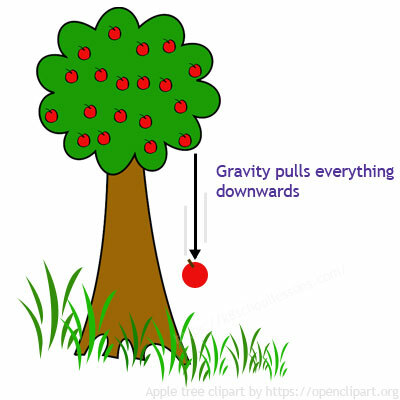 Everything on Earth, and on other planets, is affected by the force of gravity. A rubber or plastic ball floats on water. A force called upthrust keeps the ball up. This force is produced by water pushing on the ball from underneath. Gases and liquids can both supply upthrust. 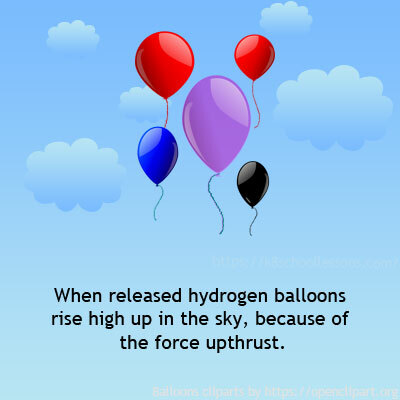 When you release a hydrogen balloon it rises, because of the force upthrust. 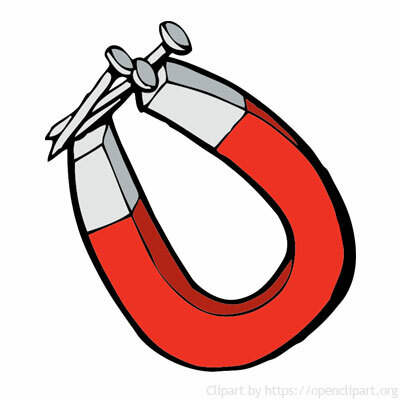 Things that have iron, steel, cobalt, or nickel in them are magnetic, because they are attracted to the magnet by a magnetic force. A raindrop keeps its shape when it lands on a waterproof surface. That’s because of surface tension. The water molecules attract each other strongly and form a kind of skin on the water surface. You can even float a pin on water. If you lay a pin carefully on the surface of water; surface tension keeps it up. A raindrop keeps its shape when it lands on a waterproof surface. Have you ever tried picking up pieces of paper with a plastic pen? To do this first you have to rub the plastic pen on a duster. Rubbing gives the plastic an electric charge. This electric force pulls the paper to the pen. We also call this electric force static electricity. Rubbing gives the plastic an electric charge. 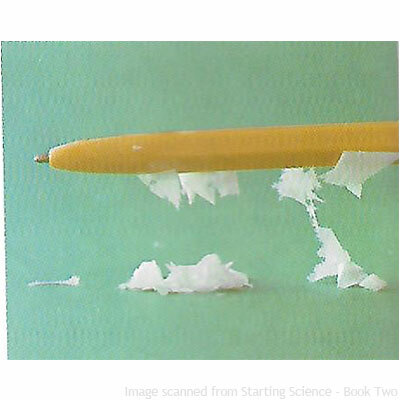 This electric force pulls the paper to the pen. 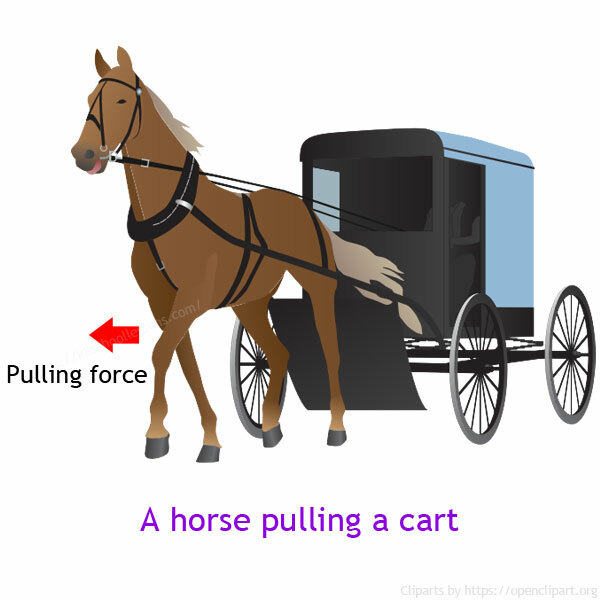 A force that can cause or change motion of an object by touching the object is a contact force. A force that results when two objects are not in physical contact with each other is a non-contact force.